According to spokesman Margaritis Schinas, Barnier recalled that decisive progress must be made in time for the October European Council next week and negotiations at technical level will continue. BRUSSELS: Top European Union officials were warned Wednesday to make plans to cope with the fallout from a "no-deal" Brexit as their chief negotiator said talks with Britain must make more progress before next week's crunch summit. EU Brexit pointman Michel Barnier and Martin Selmayr, the powerful head of the EU Commission's bureaucracy, briefed commissioners on progress just a week before the October 18 meeting that has been dubbed a "moment of truth." According to spokesman Margaritis Schinas, Barnier "recalled that decisive progress must be made in time for the October European Council next week and negotiations at technical level will continue this week.
" Selmayr meanwhile "provided a brief update on the state of play of the Commission preparedness work and recalled the importance for all stakeholders to prepare for all outcomes and at all levels.
" Selmayr, secretary general of the European Commission, has been tasked with coordinating preparedness to protect the EU from economic fallout if Britain leaves the bloc on March 29 next year without a divorce deal in place. 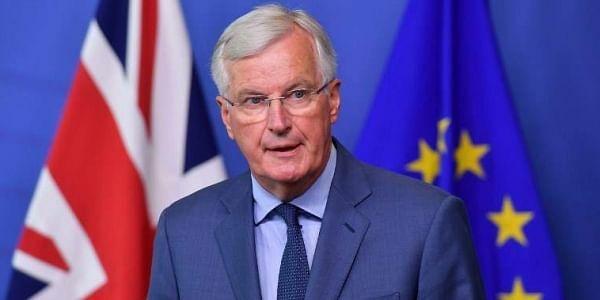 Barnier is attempting to negotiate such a deal, but time is running out and EU leaders have made it clear that they expect Britain's Prime Minister Theresa May to come up with a way to unblock talks before next week.